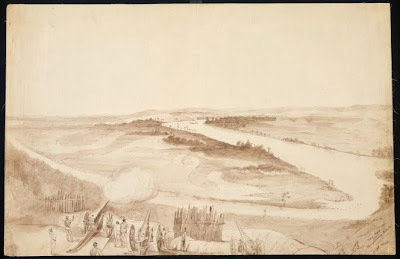 Following the invasion of Waikato by British imperial troops in July 1863, local Maori sought to slow their advance south through the construction of a series of defensive pa (fortifications), of which Meremere was among the most impressive. Its construction was first observed by General Cameron on 15 August, when he noted that Maori had assembled there in considerable numbers and occupied a commanding post on the right bank of the Waikato River, about two miles beyond the junction with the Whangamarino River. Rifle pits were being thrown up in all directions and one observer estimated that there were already about 1100 men there by the end of August. Construction of the pa soaked up a considerable proportion of the total number of defenders available to the Kingitanga. But with British troop numbers continuing to surge, and the Waikato River now commanded by armed steamers that were capable of causing enormous damage, continuing occupation of Meremere was becoming increasingly untenable. 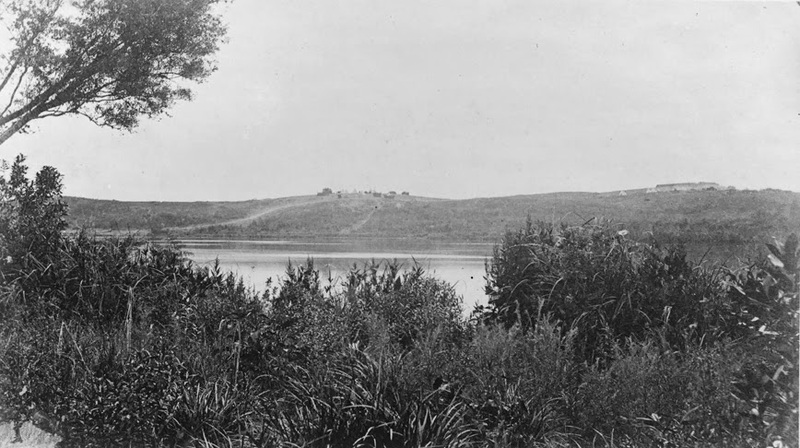 In the early hours of 31 October Cameron and 600 officers and men sailed up the Waikato River, landing at a spot previously indentified as suitable during reconnaissance that was about nine miles beyond Meremere. As the British were preparing to assault the pa on the afternoon of 1 November, soldiers at a forward observation post reported that Maori were leaving Meremere in large numbers. Cameron and his main body of soldiers arrived on the scene a few hours later, charging up the hill and hoisting the British ensign at the top. In this way, British forces claimed their ‘bloodless victory’ (as one newspaper at the time described it). Kingitanga forces had evaded confrontation with the main body of British forces for the time being. But the loss of Meremere was a strategic blow, allowing Cameron’s forces much easier access to the area beyond it. And as James Belich noted, the effort that went in to construction of Meremere was to temporarily exhaust the resources of the Kingitanga – a reluctant fighting force that was already massively outnumbered by the professional army and their heavy artillery deployed against them. On the occasion of the recent visit of the Kingites to Auckland, a reporter from the Herald interviewed Honana te Maioha – one of Tawhiao’s near relatives, who took an active part in the commencement of the King’s movement – with the view of having recorded facts respecting that singular series of events. (‘Story of the King Movement, Told by a Maori Chief’, Timaru Herald, 1 March 1882, reproduced from the New Zealand Herald, 18 February 1882).